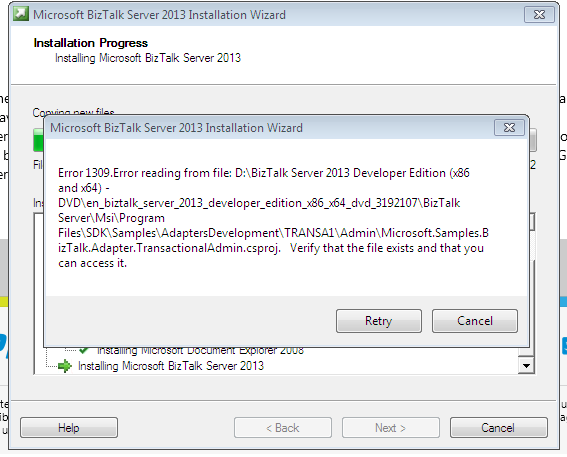 While installing BizTalk 2013, received below error. As per error there was some error while reading the file. 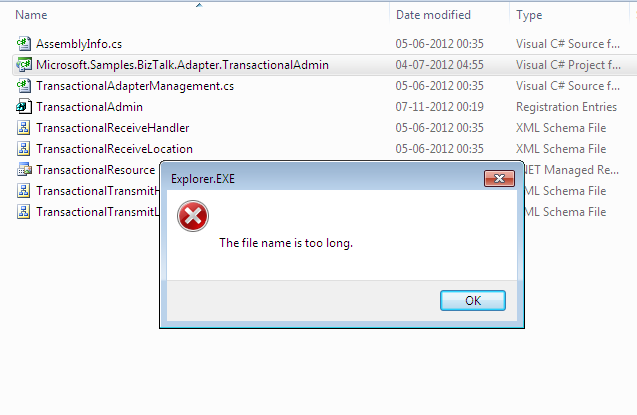 So first thing was to check whether the file mentioned in error existed or not and secondly whether it was accessible. To check this I traversed the whole path, and file was there. Next I right clicked on the file and tried opening it and below error popped out. While extracting , I kept the name same as that of the image(ISO) file i.e. en_biztalk_server_2013_developer_edition_x86_x64_dvd_319207 and that was the problem. So I renamed the folder name as “Biz” and then tried installing again and it was done. The path length exceeded the threshold. Reduce the length of the path by renaming the initial folder name.